A fifth and final reflection about capes (and learning) from The Magnificent Chameleon. We set up our stand at World of Learning feeling a little like the odd one out; we were first timers and we looked a bit different to our fellow exhibitors, having set up our stand to look like a film set. We were also bringing a unique team development offering to the good people of L&D and we weren’t sure what they would think. 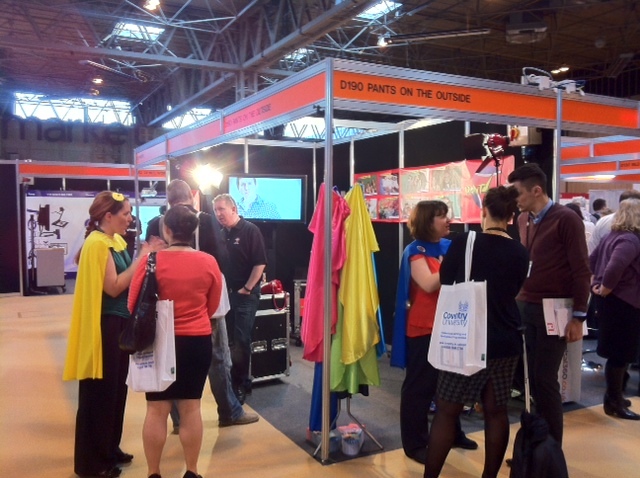 So we donned our capes and masks, we threw our shoulders back, stood tall and let our capes billow in whatever breeze there was in Hall 3a of the NEC. In response to our enthusiasm for our product, our visitors added so much more ‘wind beneath our capes’ with their positive comments about “daring to be different” and “standing out from the crowd”. We got some great advice too.